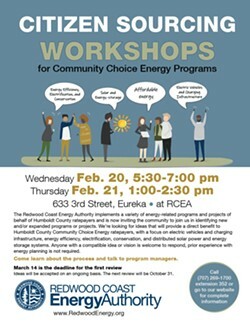 Redwood Coast Energy Authority Seeks Ideas from the Public The Redwood Coast Energy Authority (RCEA) invites the public to participate in “Citizen Sourcing” to help identify new and/or expanded energy-related programs or projects that will provide a direct benefit to Humboldt County’s Community Choice Energy Program ratepayers. 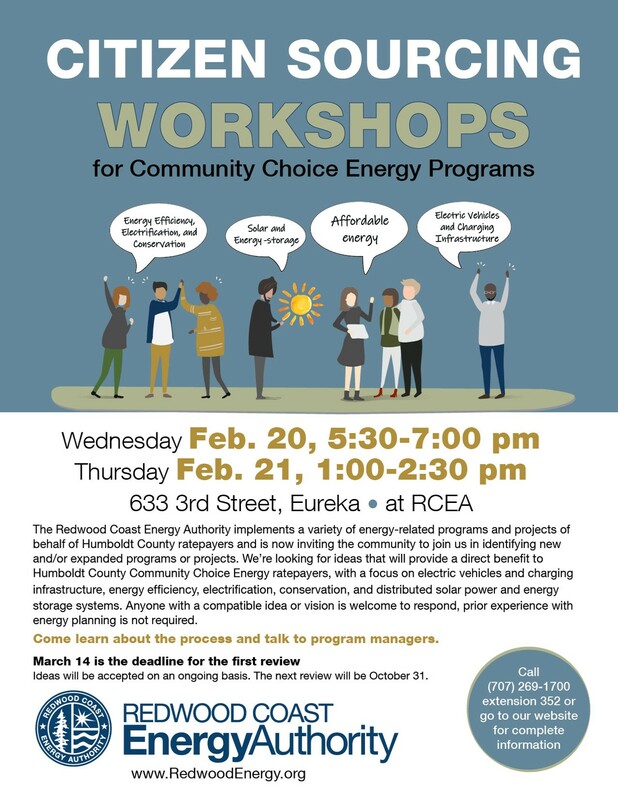 Concepts should align with RCEA’s program development priorities of 1) energy efficiency, conservation, and electrification; 2) electric vehicles and charging infrastructure; and 3) distributed solar power and energy storage systems. Anyone with a compatible idea or vision is welcome to respond, prior experience with energy planning is not required.